Martha Berry discusses th importance of the proposed Mothers building she asks Mrs Inman to ask Miss Neal and Mr Beck to help also. 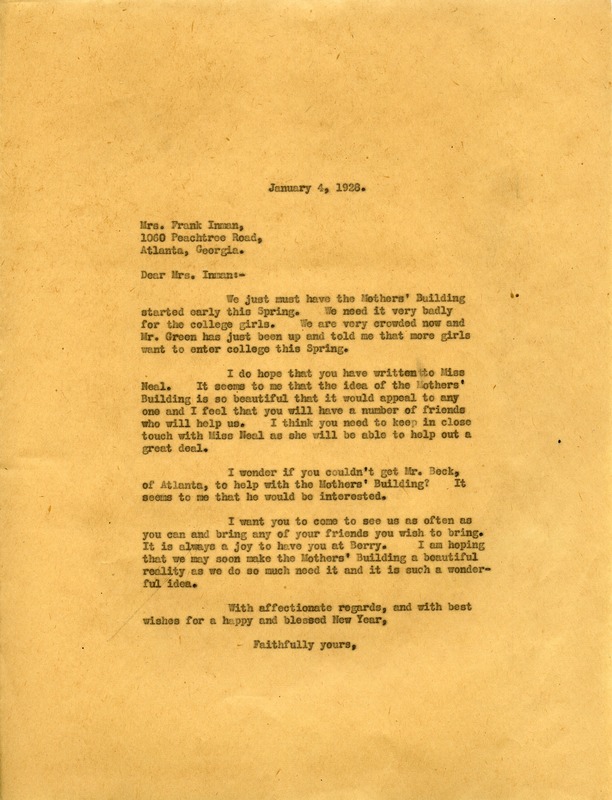 Martha Berry, “Letter to Mrs Frank Inman from Martha Berry.” Martha Berry Digital Archive. Eds. Schlitz, Stephanie A., Jordan Brannen, Alan Henderson, et al. Mount Berry: Berry College, 2012. accessed April 21, 2019, https://mbda.berry.edu/items/show/8015.